I feel horrible for this family. Richmond, TX is a suburb of Houston. 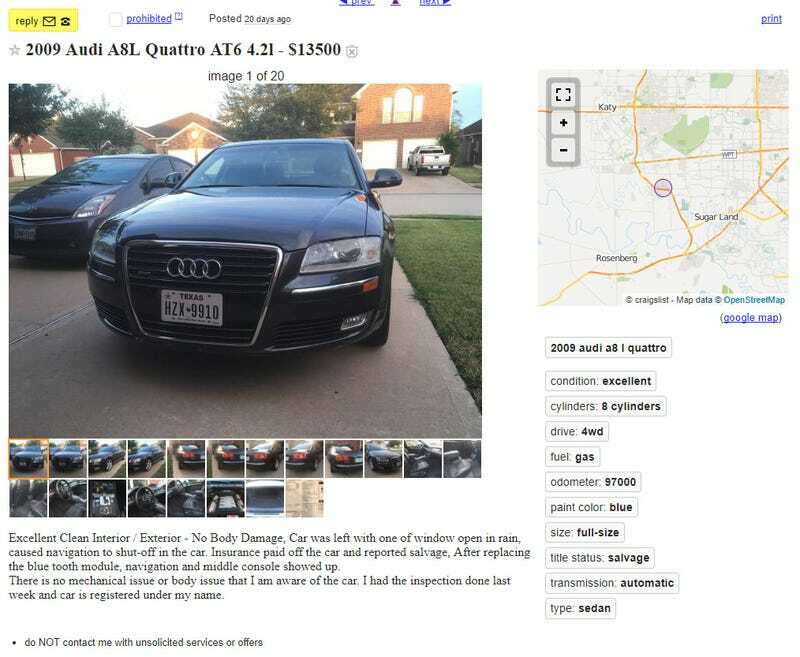 Altaf Malik, 43, went out on Tue night, Dec 5, to meet an interested buyer to show the Audi (Texas license plate HZX-9910). Sadly, he never returned home. News reports came out today that his body was found. He was stabbed to death by an unknown lowlife. Hoping for swift justice. Am posting this to publicize in hopes the car community keeps an eye out for the car.